Okay, everyone should now by now that i am a HUGE michael phelps fan. i love love love him. he was recently in people magazines issue that stated the "100 sexiest men alive". for those of you that haven't seen his picture in it, don't waste your time. my friend told me that he was in it so we went to go look at it and it is one of the most disgusting pictures ever. i could not believe he would pose in a picture like that. it was the most unattractive photo of him i've ever seen. it almost makes me like him less..almost. i wish he would've drawn a line there and not taken the picture. sorry i know people are probably going to want to go look at it, but don't it makes him look disgusting and i'm embarassed for him that tons of his fans are gonna go look at it and be grossed out, or at least the mormon ones haha jk. okay, so i guess that some people could argue that november 9th is a little early to put christmas music on your blog, but you know what i say to them? too freakin bad. i start listening to christmas music as soon as november starts, and i don't stop till i see the sun again on a regular basis. which is usually around february. 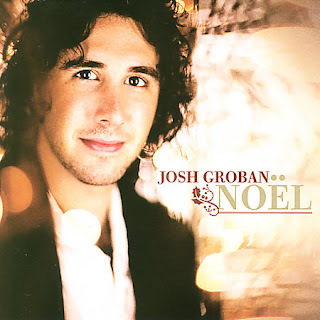 oh and i don't listen to anyone but josh groban...and occasionally mariah carey. 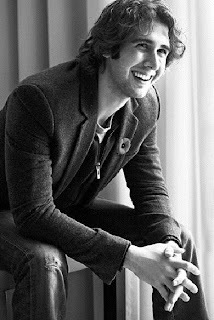 but mostly josh groban because he's my favorite person in the world. i think he has the most amazing voice ever. he's cute too. i LOVE him. thats how he'll smile on our wedding day. jk. not really. If you haven't bought this cd yet, you are missing out......big time.